Clad in black shirt to protest a raw deal meted out to the state, the Telugu Desam Party (TDP) chief began ‘Dharma Porata Deeksha’ at Andhra Pradesh Bhavan.After paying tributes to Mahatma Gandhi at Rajghat, Naidu along with other TDP leaders reached AP Bhavan, where they garlanded the statue of Babasaheb B.R. Ambedkar before launching the protest. Naidu’s cabinet colleagues, MPs, state legislators and leaders of student and employees groups and mass organisations were sitting with him on the fast.A large number of protestors have also joined Naidu in the 12-hour long protest. They reached the national capital by two special trains hired by the state government. 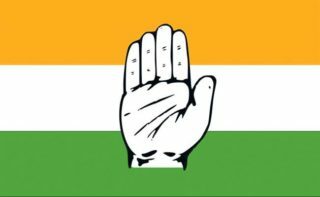 Leaders of several non-BJP parties were expected to meet Naidu and express their solidarity.Naidu, whose TDP pulled out of the Bharatiya Janata Party-led National Democratic Alliance last year, so far staged similar protest in 11 out of 13 districts of Andhra Pradesh. The TDP chief will submit a memorandum to President Ram Nath Kovind on Tuesday.Naidu sat on the fast a day after Prime Minister Narendra Modi visited Andhra Pradesh. 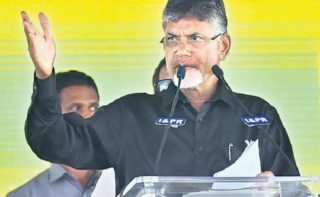 Addressing a rally in Guntur, he slammed Naidu and claimed that the Centre has extended all possible assistance to the state during the last five years.